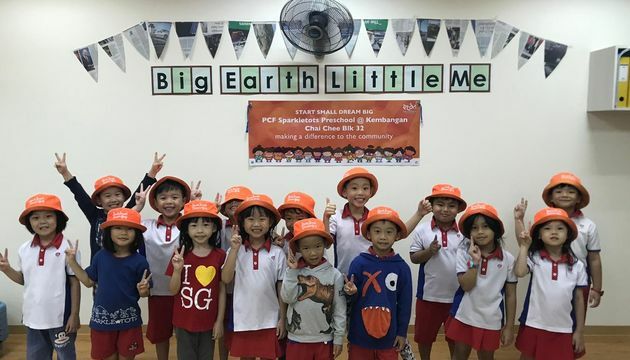 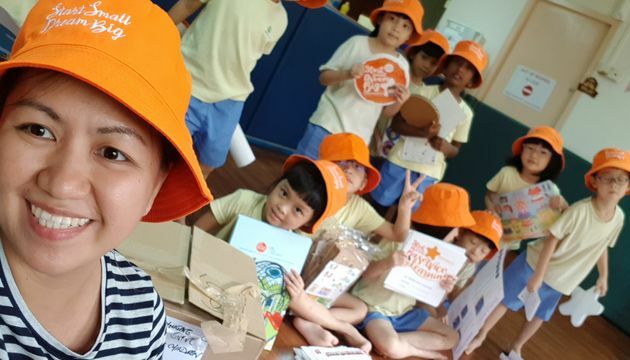 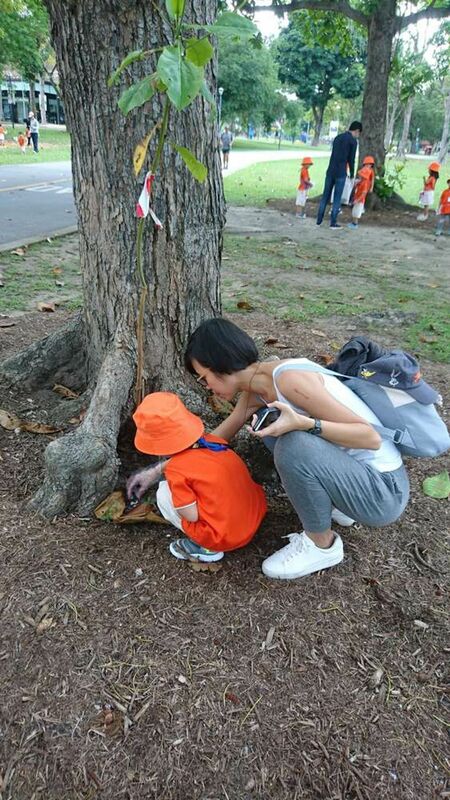 In line with this year’s Start Small Dream Big topic on “Kindness All Around”, we invited parents to collaborate together with us in caring for our environment. 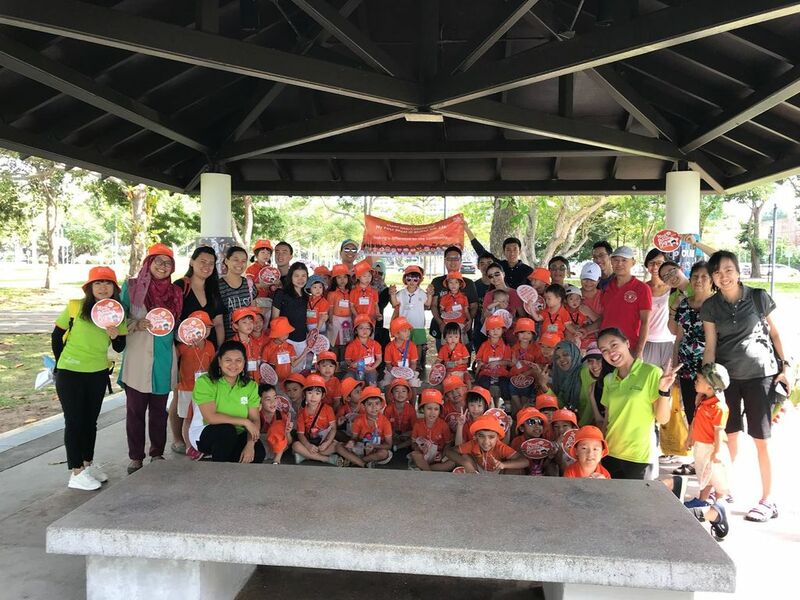 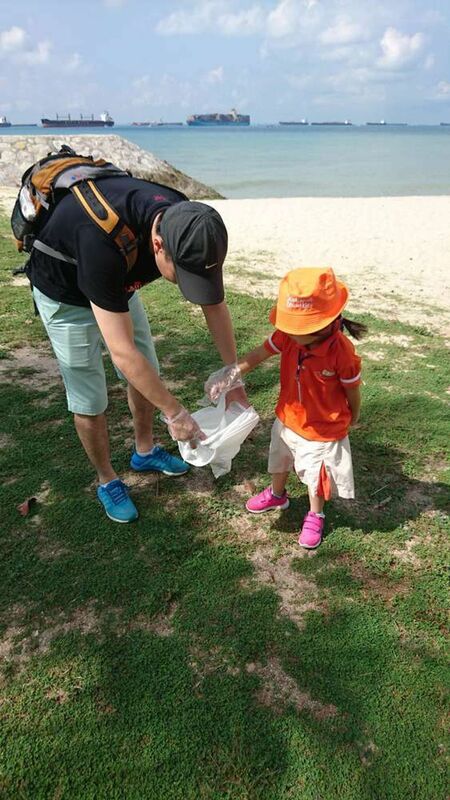 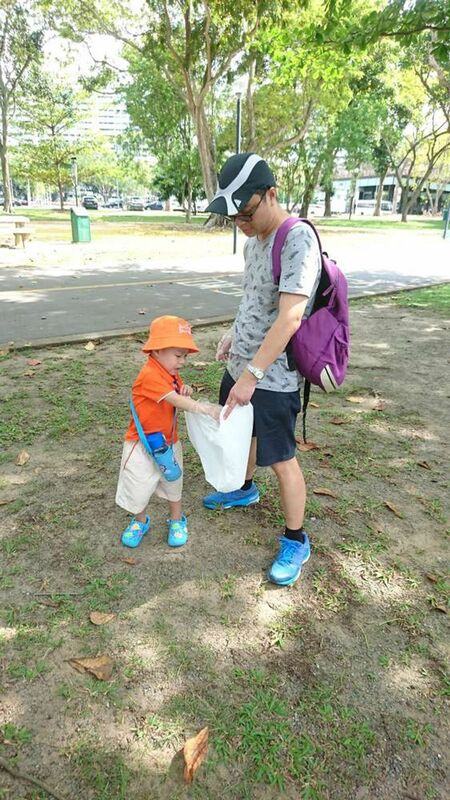 We officially launched our SSDB project for the year in conjunction with Earth Day by taking a trip to East Coast Park for our beach cleaning activity. 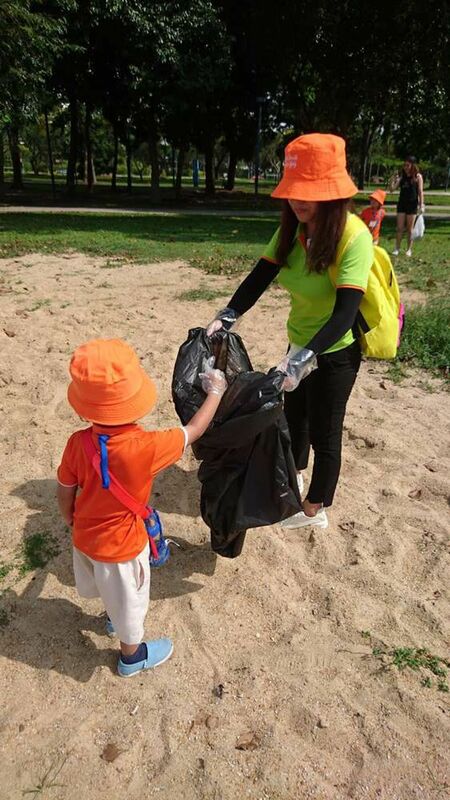 Both children and parents took their time walking around the beach to collect rubbish and throw them away properly into the bins provided. 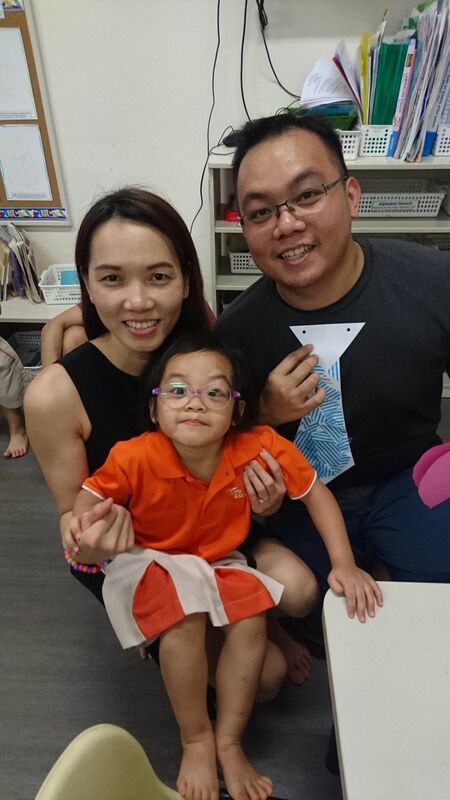 Next, we invited parents for an in-house Parents’ Day celebration with us by combining both Mother’s and Father’s Day together. 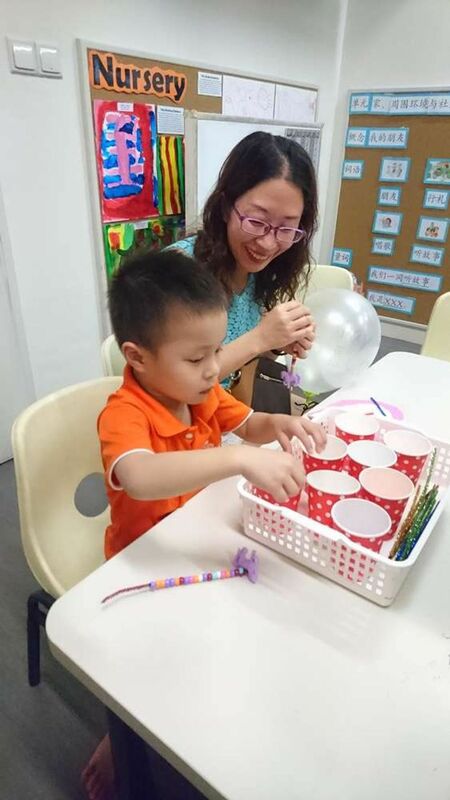 The children showed their appreciation to their parents through a series of performances conveying their love, as well as craft activities for them to bond together with their parents. 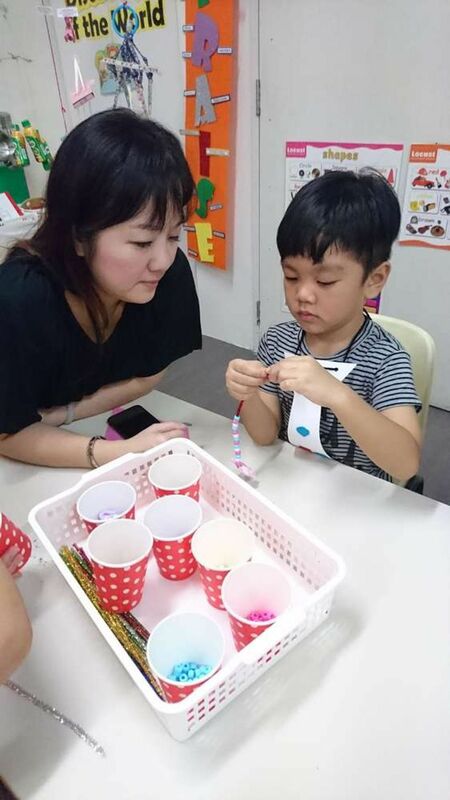 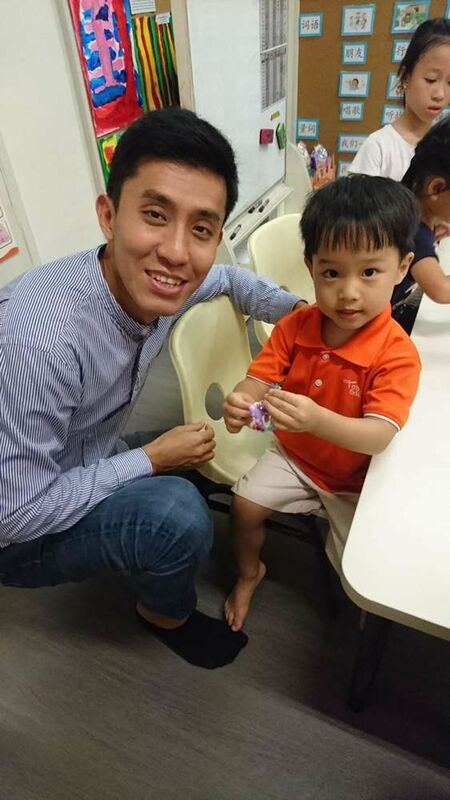 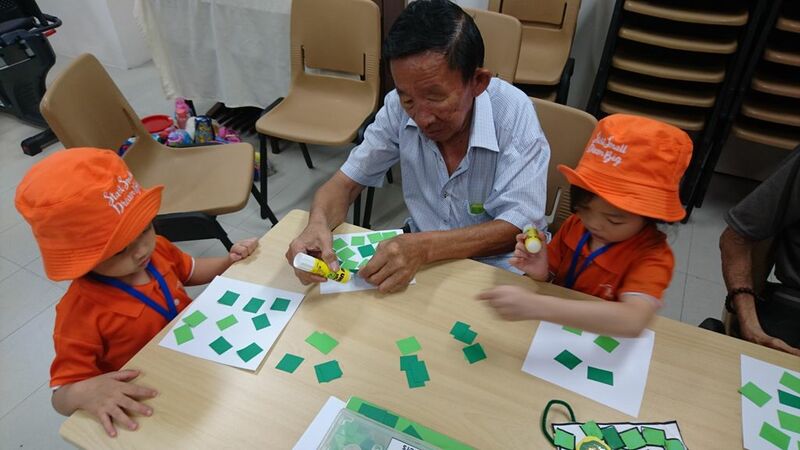 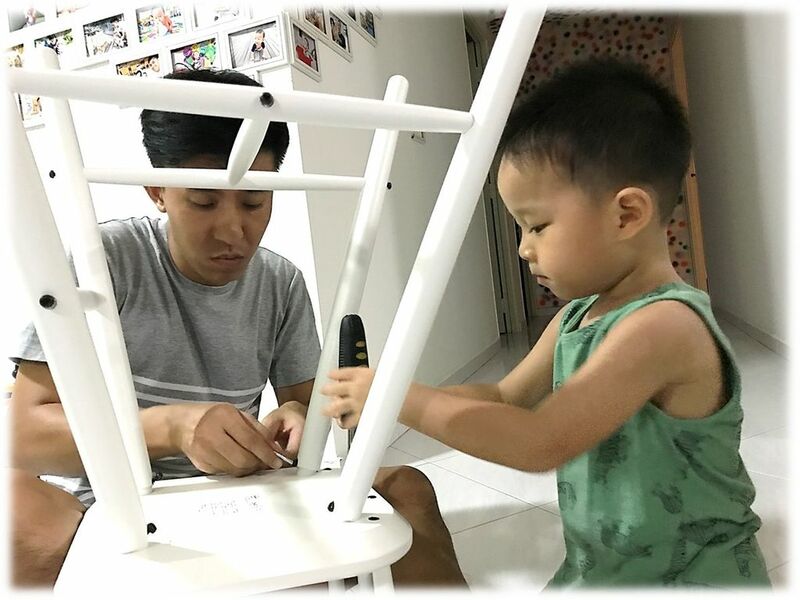 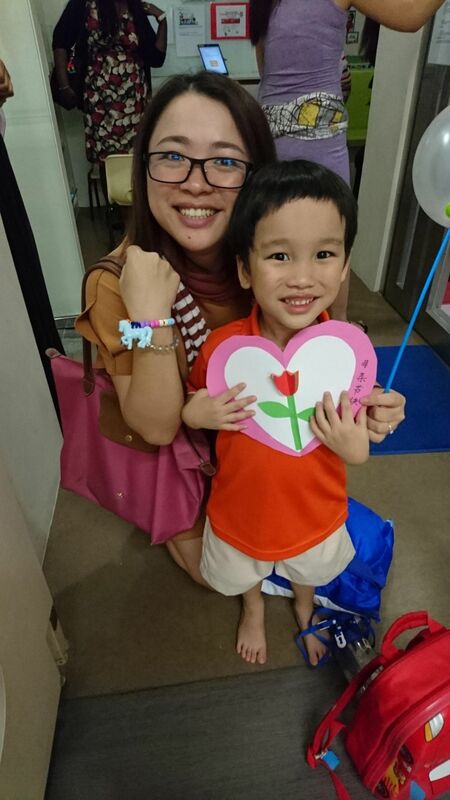 Parents were able to experience firsthand what the children learned in school as they got to do hands-on activities like bracelet threading and necktie collage with them. 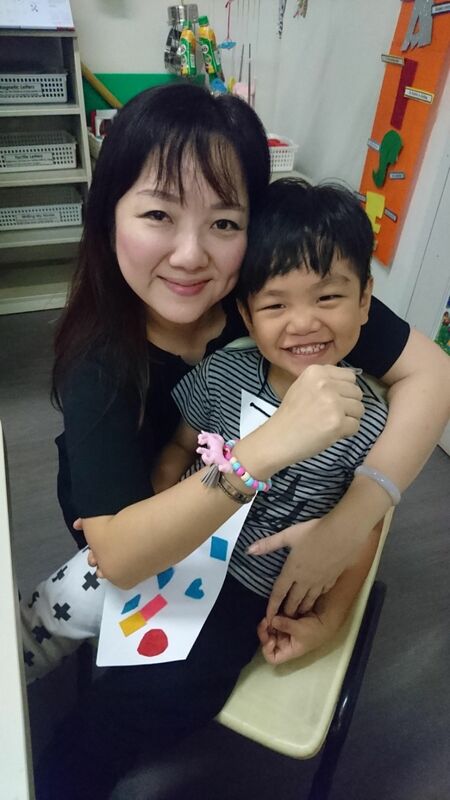 Children worked together with their Daddies to create a bracelet gift for their Mummies, and completed a necktie collage with their Mummies to give their Daddies. 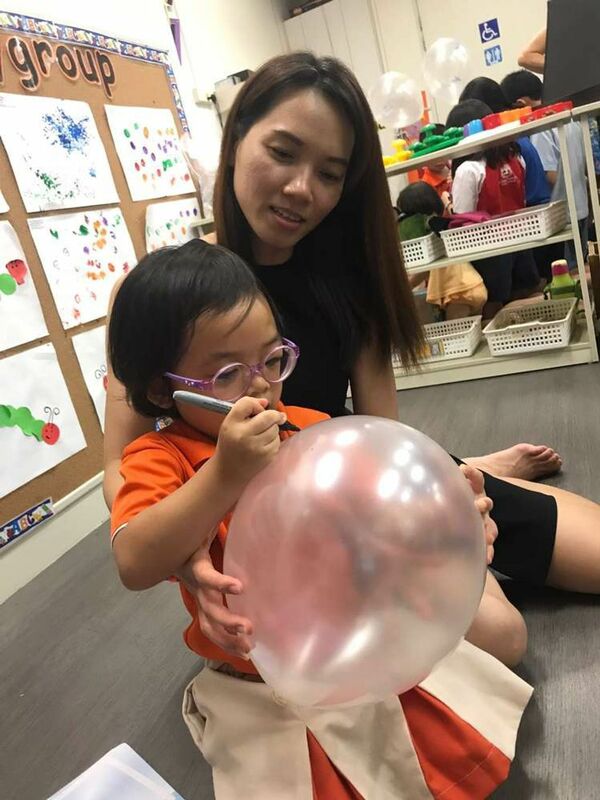 Together, they also wrote messages to each other and created their balloons as souvenirs for the day. 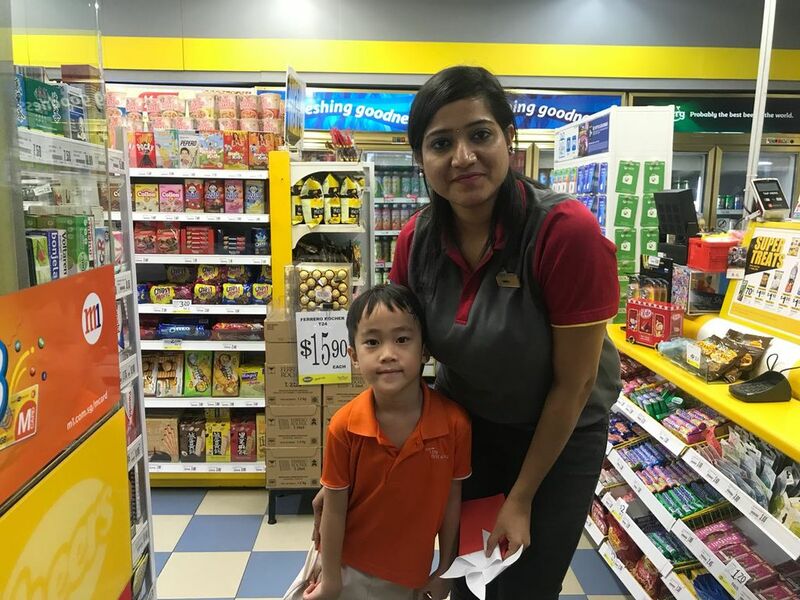 Adding on to that, we also collaboratively partnered with parents to help us snap photos of children being kind to their family members over the weekends. 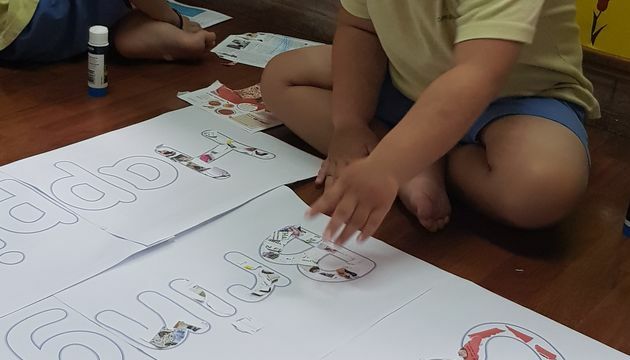 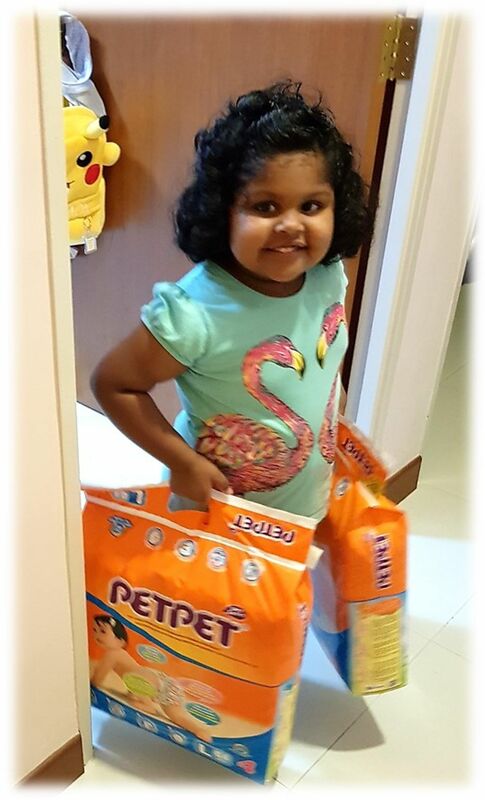 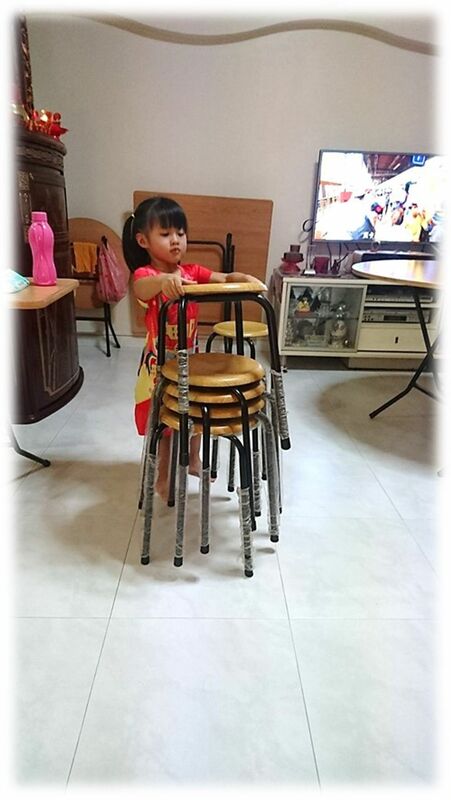 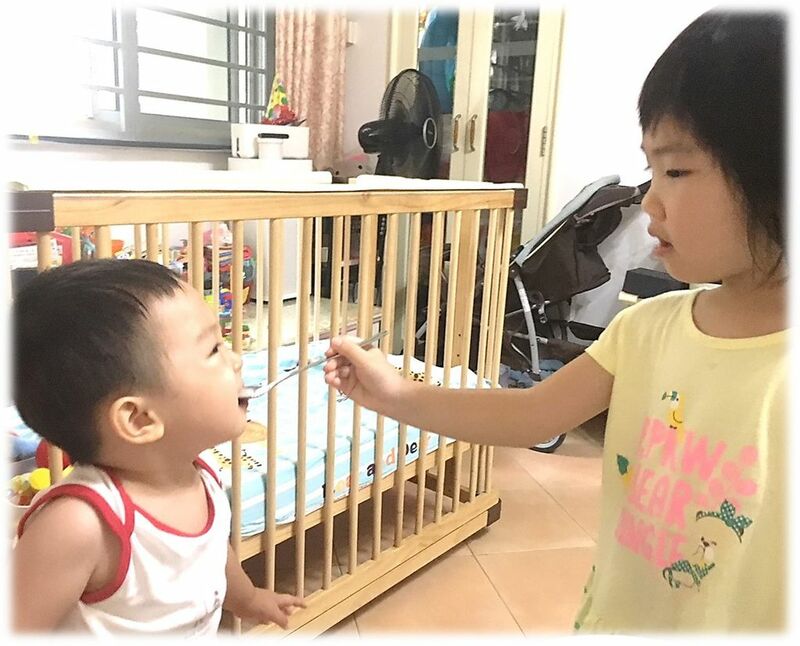 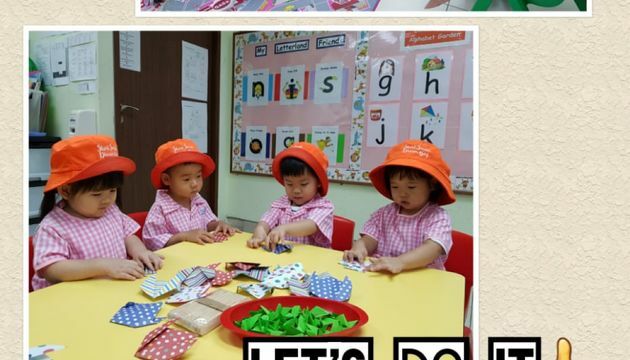 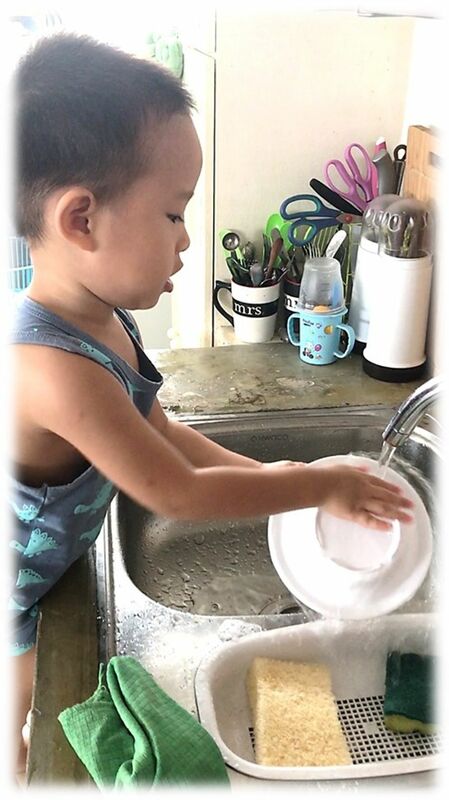 Children showed care towards their families at home by helping out with household chores and lending a helping hand to their siblings or grandparents by completing simple tasks. 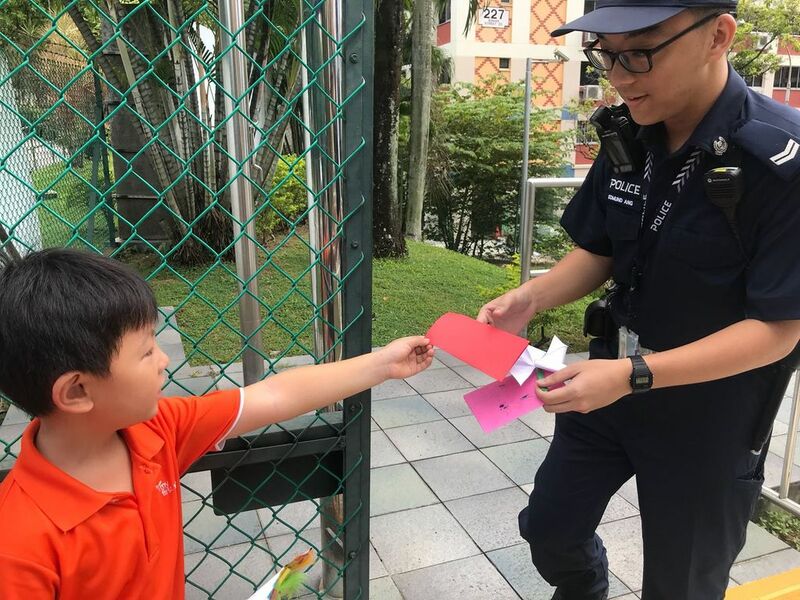 That following week, the children walked around the neighbourhood area to distribute their handmade pinwheel cards to random strangers, neighbours as well as community helpers. 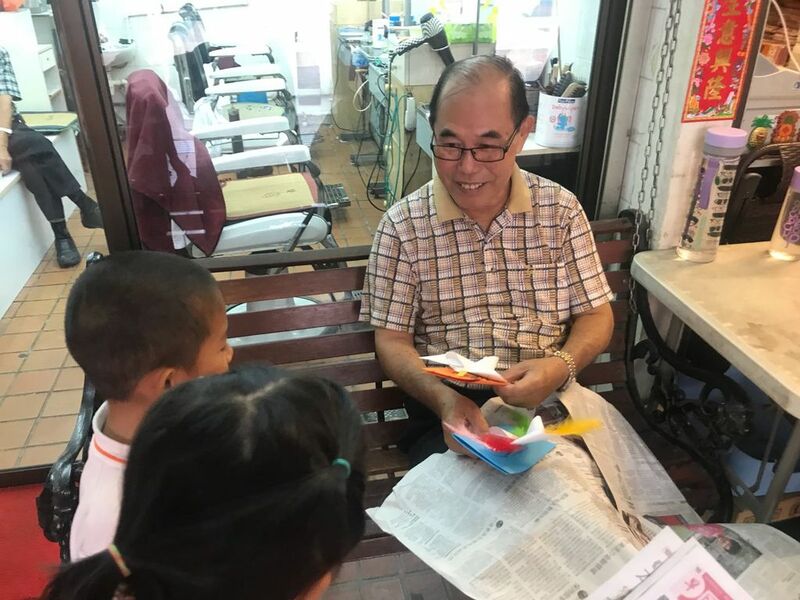 They showed kindness and care towards the people around them simply by the idea of wanting to brighten up their day with various personalized cards made of kind words and motivational quotes. 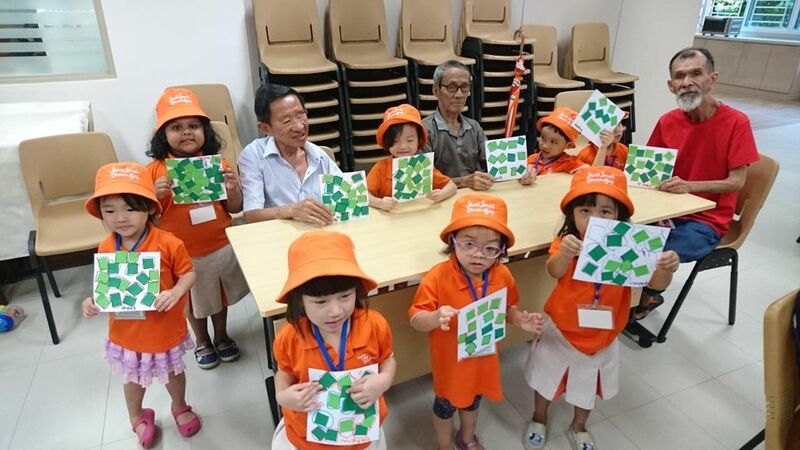 Lastly, the children went on a learning journey to visit SilverAce Eldercare in conjunction with Hari Raya celebration. 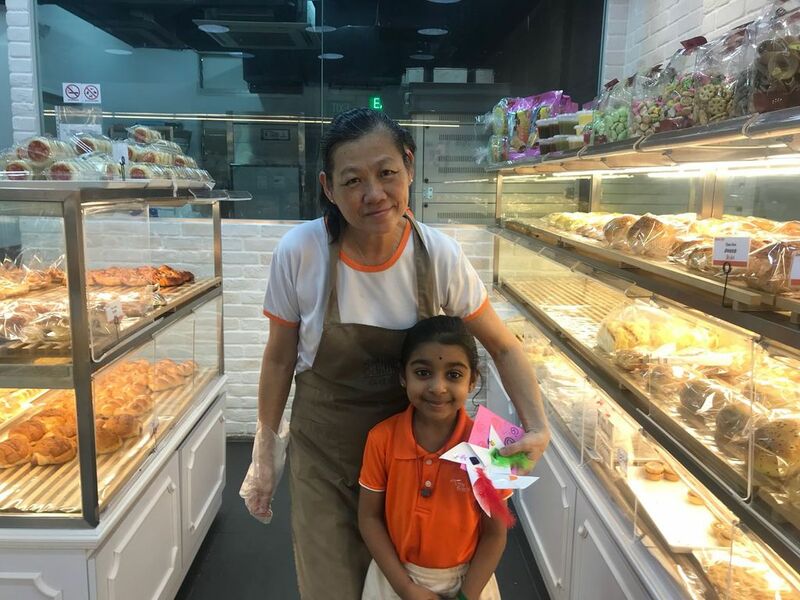 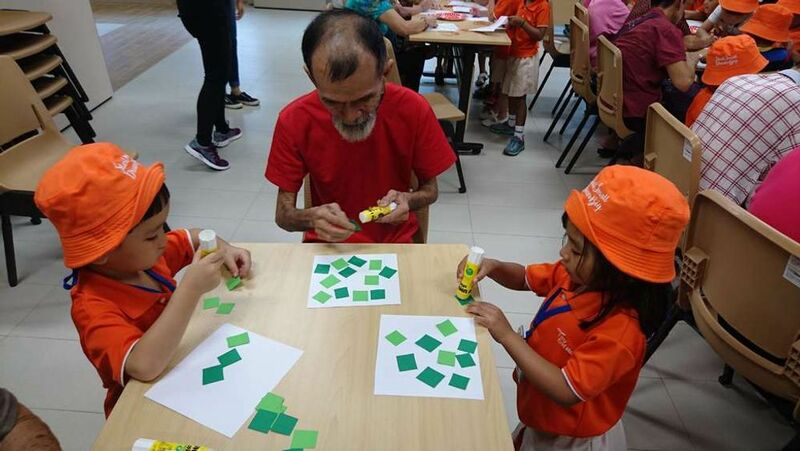 The children showed their care towards the elderly through Hari Raya performance, as well as craft activities for them to bond together with the elderly. 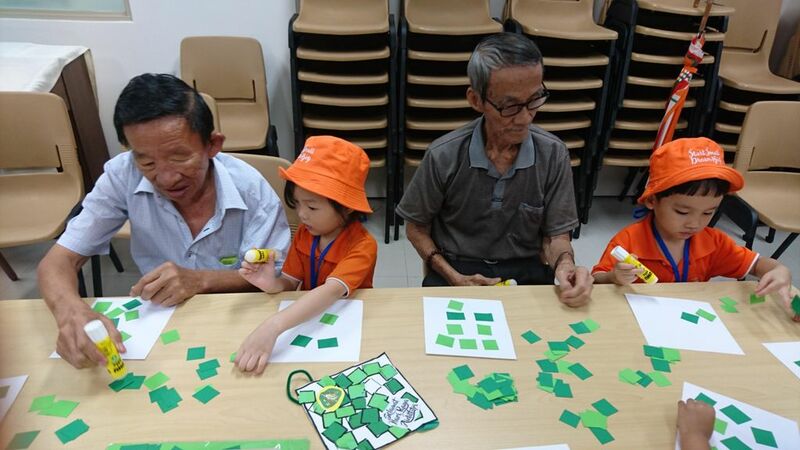 Together, they created Ketupat artworks by pasting cut-out diamonds and outlining them with markers afterwards. 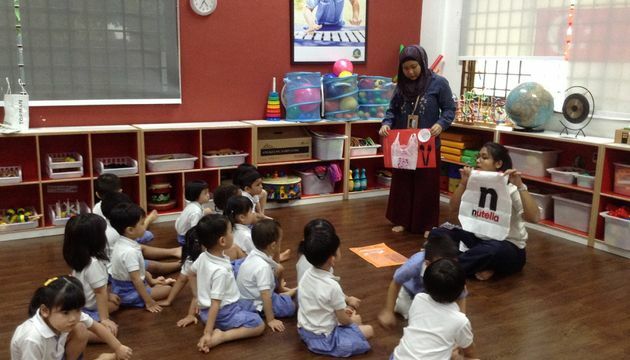 We finished off the visit with some sharing of Hari Raya goodies and handing over of food items donated by parents. 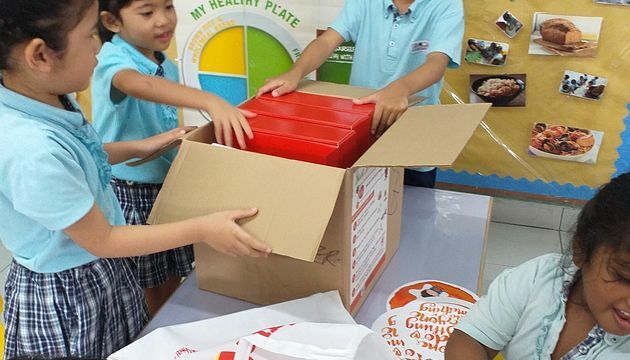 Our SSDB project is currently still ongoing as we will be visiting SilverAce Eldercare two more times this year to distribute more food rations and our charity donations raised from our upcoming Art Bazaar on 19th September, as well as to celebrate Christmas with the elderly later in December 2018. 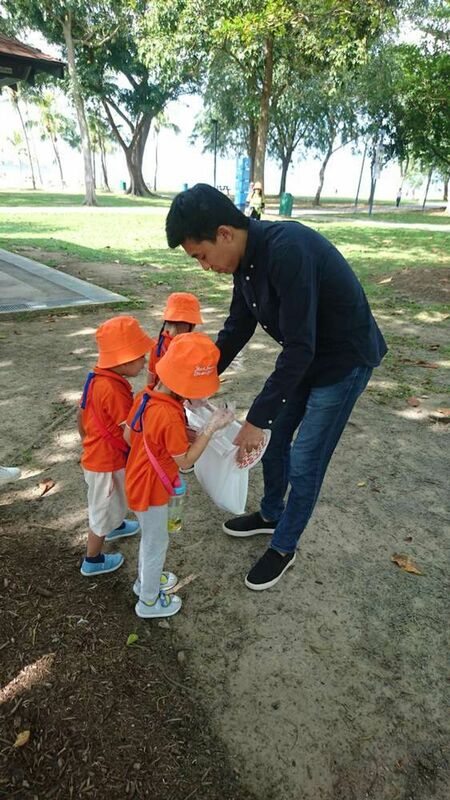 As our topic suggests, kindness is not just a one time thing, there is actually no end to it. 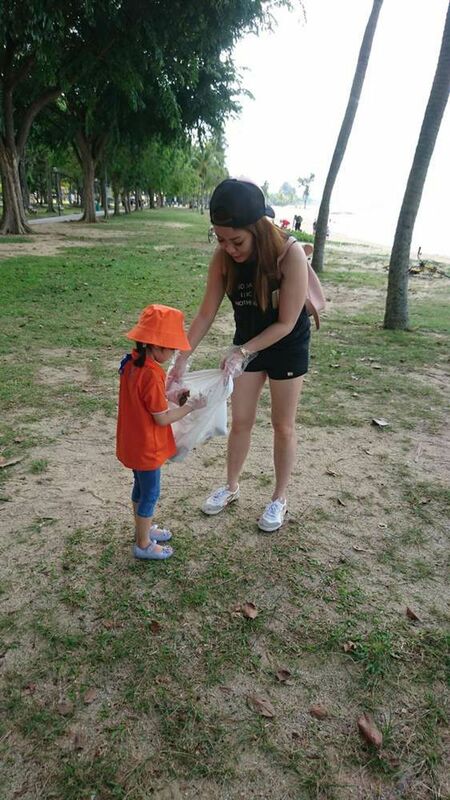 Therefore, we have to continue being kind all year round, by consistently showing care towards the environment and everyone around us too.